Know how to determine the z-value for biological indicators used for sterilization validation. 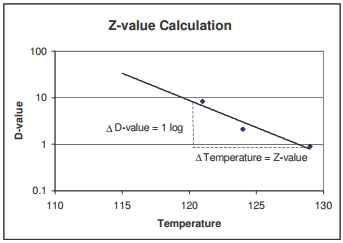 Z value is the temperature required to increase the thermal destruction by one log. In simple words, we can say the temperature required to increase the death rate or D value of the organisms by 10 times. Z value is required to determine the F0 value for the sterilization process. Biological indicators are tested to determine their Z-value. Every microorganism has is unique Z-value. D-value of the organism is determined at different (three or more) temperatures (i.e 121°C, 124°C, 129°C). A graph is plated between these D values and temperature. This curve is known as thermal death curve. It is easy to determine the Z-value graphically then mathematically. Temperature is determined by a graph that is required for 1 log reduction as shown in the figure. 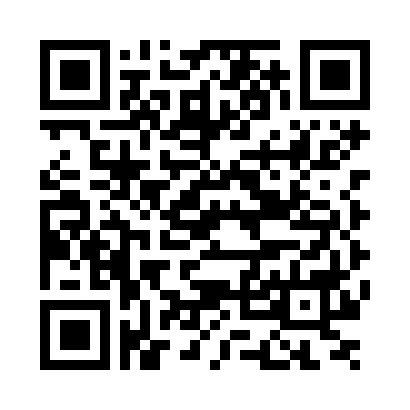 You should provide Z-values for thermal processes. FDA generally recommends that Biological Indicators have a minimum Z-value of 10°C. To determine the Z-value, you should construct a thermal resistance curve. The thermal resistance curve is a semi-logarithmic graph of D-value vs. temperature. The Z-value can be obtained from the slope of the curve by calculating the number of degrees of temperature for a 1-logarithm change in D-value. The greater the number of temperatures studied, the more accurate the resulting Z-value. FDA recommends that studies use at least three different temperatures.